Fruitless Pursuits: Dungeons and Drongos Episode 6: The Bogan Bash Part 1! 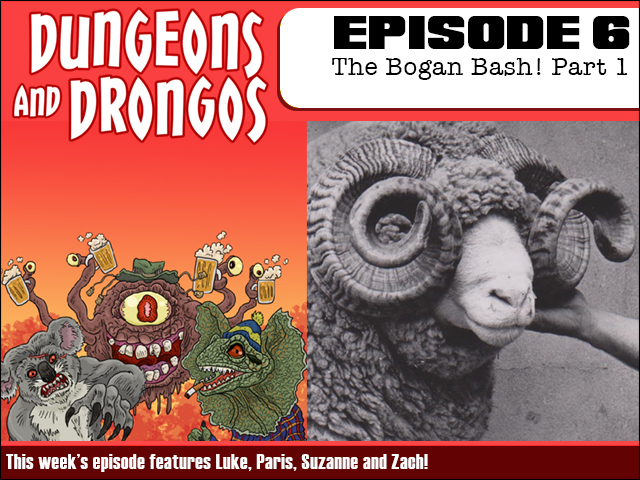 Dungeons and Drongos Episode 6: The Bogan Bash Part 1! Strewth! This week kicks off a brand new adventure as McKenzie, Plank and Gadai find themselves stranded in the dreaded and dangerous Bogan Wilds - completely unaware that they are about to unwittingly become part of the cultural event of the season!